A Menorah is a lamp. A lamp is a menorah. A Hanukkah menorah is a hanukkiyah. 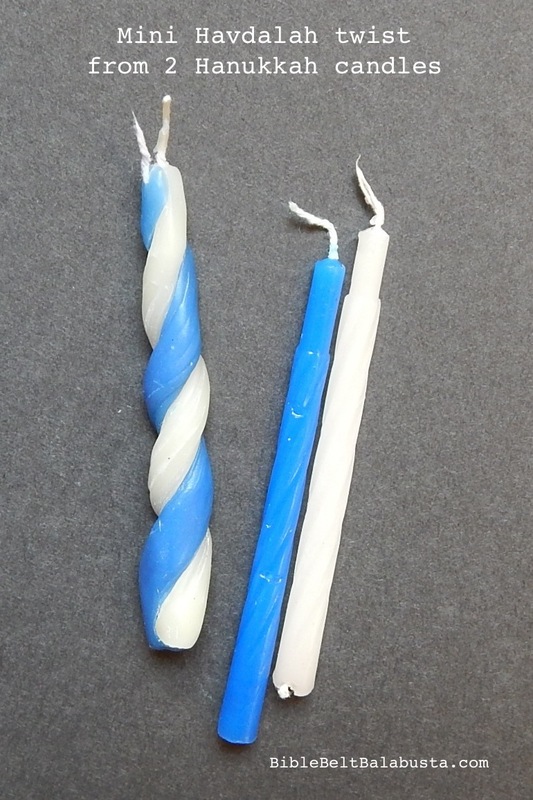 What if you want kids to make Havdalah candles and you don’t have the time and materials (or inclination) for nice, beeswax versions? I’m the first to admit that candles from scratch can be a big to-do—even just the simple, rolled sheets. 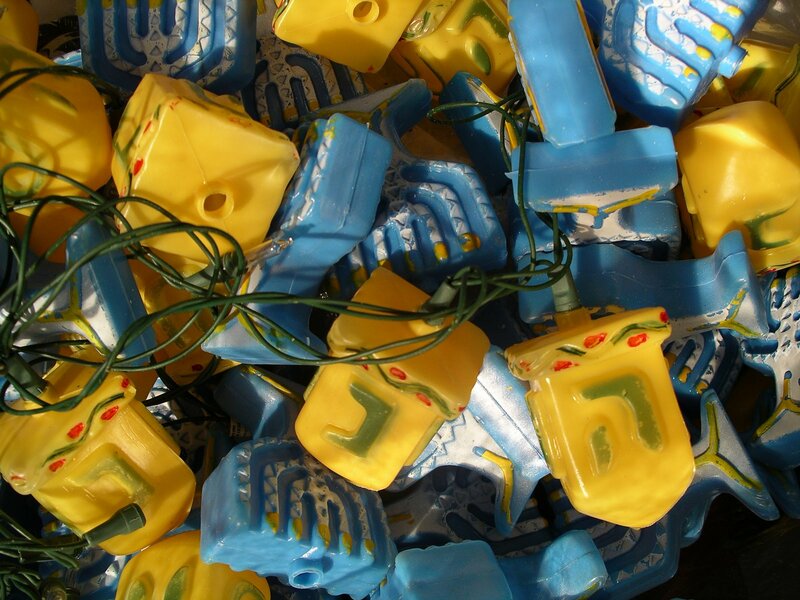 Rejoice: all you really need are leftover Hanukkah candles, a bowl and a teakettle. I live in Nashville, so I’m not so much in touch with the rest of the Hanukkah carnivalling world. Is “Squirt the Menorah” a popular Hanukkah game? The only Google hits seem to be my own. 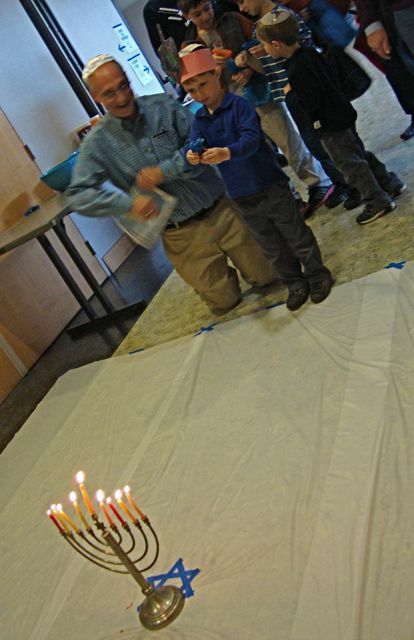 I should say “Squirt the Hanukkiyah,” but it doesn’t have the right ring to it. Menorah works fine in this case. 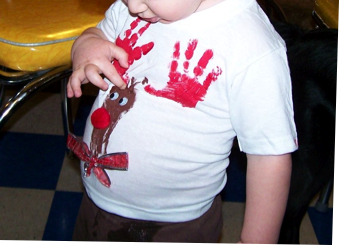 Games and crafts should say, “touch me.” Whether in a whisper or a scream, they should entice. And what screams “touch me” like chocolate? 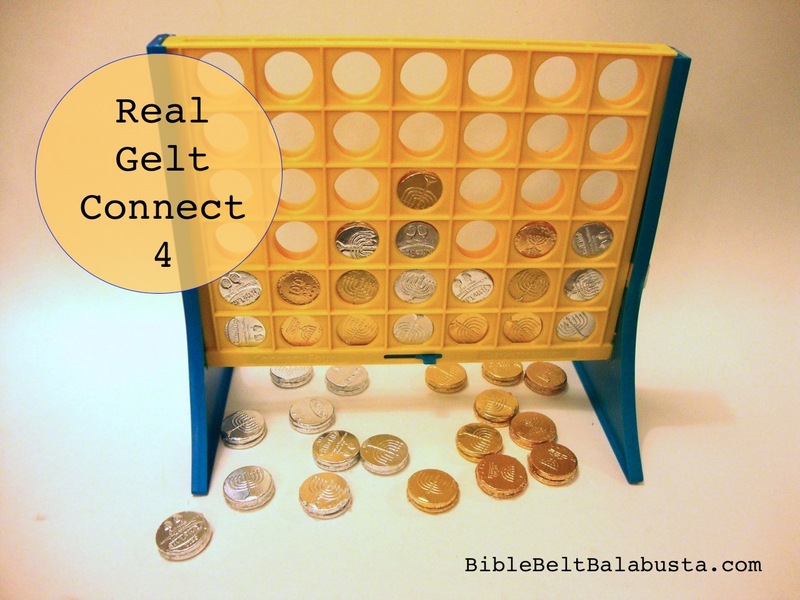 Connect 4 with real chocolate gelt. Jewish Holidays in a Box is a nifty concept: one kit per holiday with how-tos, whys and whats tucked neatly inside. 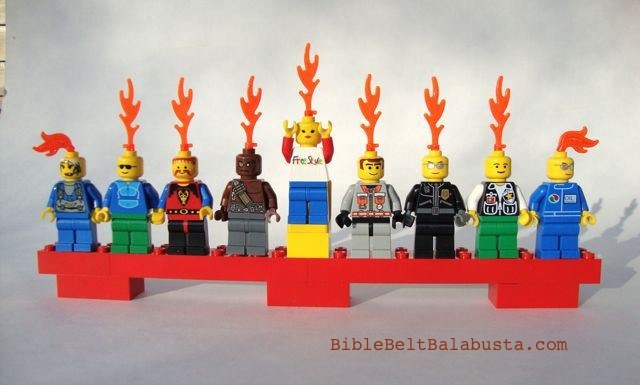 EDIT: Please see the finished version at PVC Menorah Kit for kids, revised. It turned out SO WELL. Kids love taking it apart and putting it back together (and so do I). 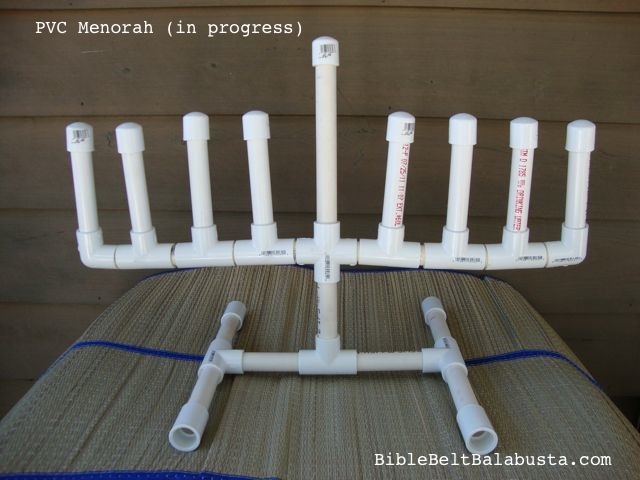 finished PVC Menorah, ready to disassemble and reassemble! In the Dreidel Cookies post, I mentioned a little card attached to the cookies dressed for a bake sale. I couldn’t bear the thought that the cookies, created with such intent, might get scarfed down without the scarfer understanding what they were scarfing. The card explained the name and meaning of each letter. 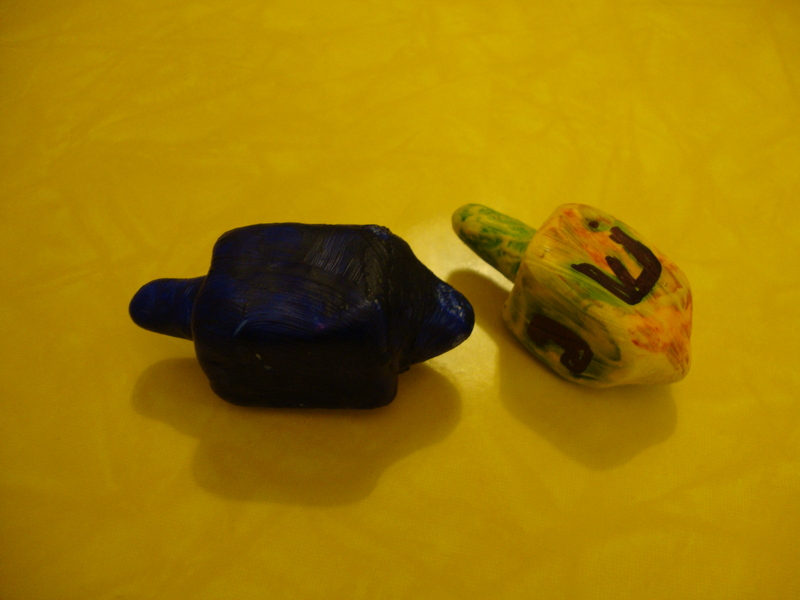 Dreidel, dreidel, dreidel, I made it out of clay, and when it’s dry and ready, then dreidel I shall play. 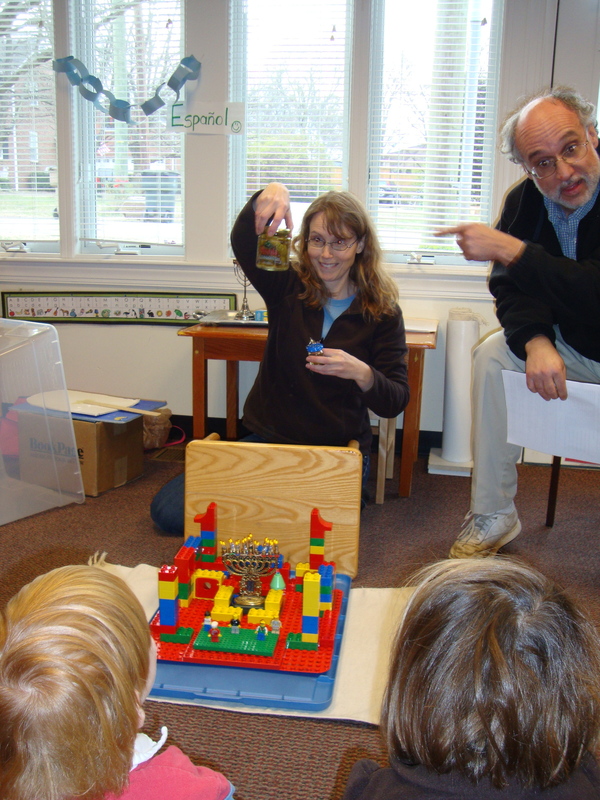 A Duplo Temple and a jar of olives. 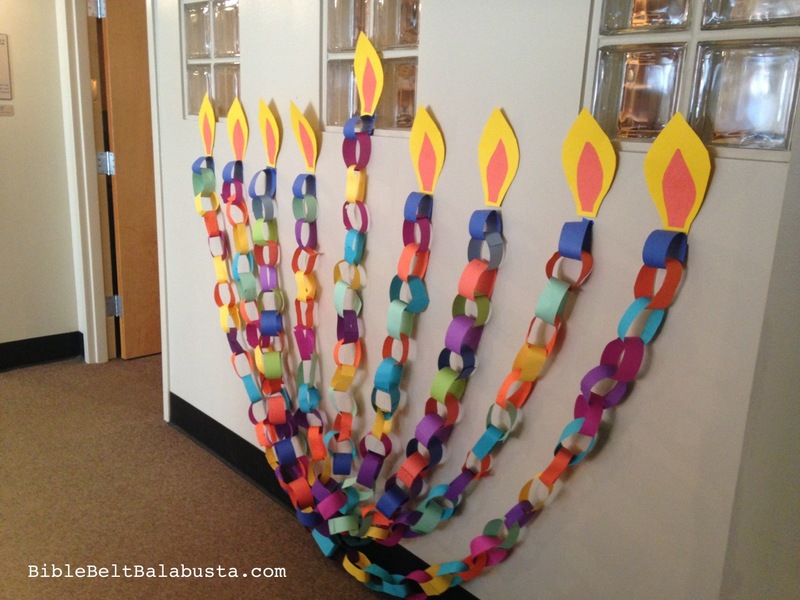 Guidelines for Hanukkah Parent visits: where are they? All over the country, volunteer parents are visiting their child’s classrooms and representing the entire Jewish people in 15 minutes or less. 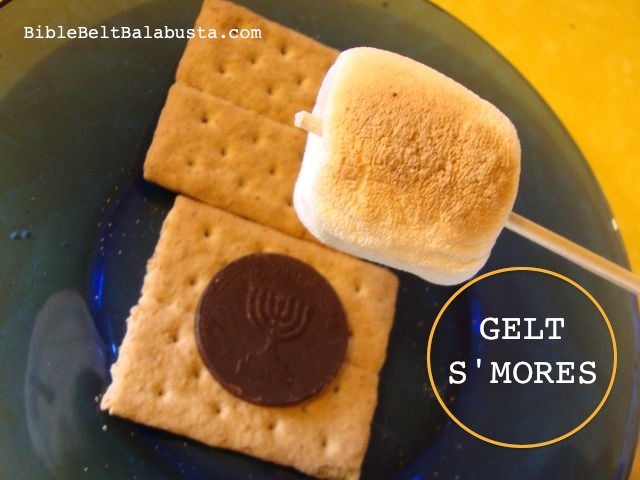 In the spirit of “sharing traditions,” we bring a book, maybe some dreidels, some gelt (its never too early to jump-start a child’s association of Jews and money…see below), and a menorah. Hands-on parents bring all this stuff, and we check if we are allowed to actually light the menorah (and if we are allowed to keep the candles burning or blow them out far, far from the smoke detector). 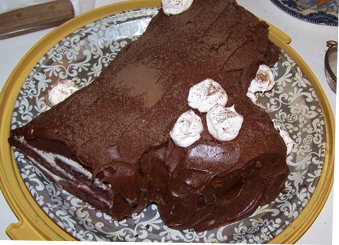 I am especially proud of the meringue mushrooms, oui?